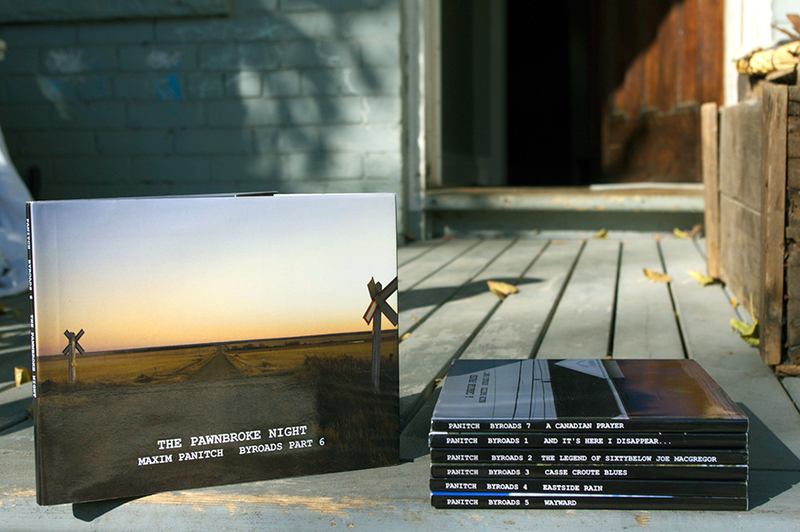 This seven volume set combines photography and prose in a travelogue of Canadian marginality. 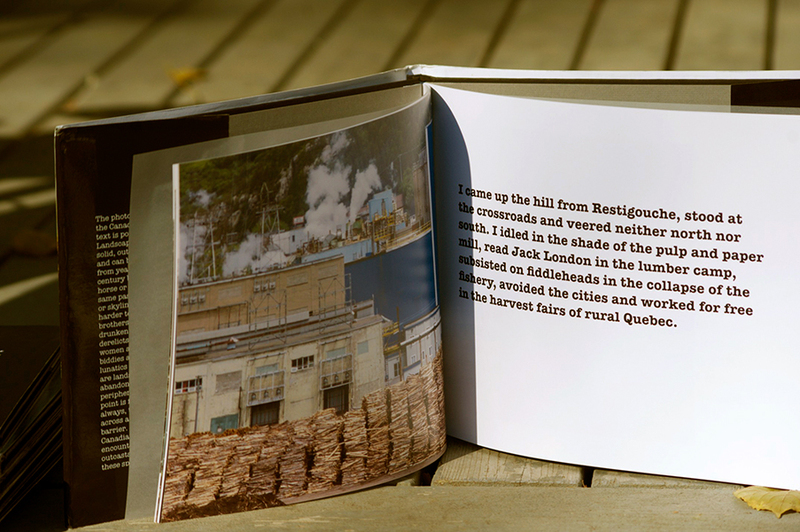 The photography here is of the Canadian landscape, the text is portraiture. Landscapes are static and solid, outlast human form and can be seen the same from year or decade or century by a child or a horse or a butterfly as the same pasture or mountain or skyline. People are far harder to pin down. Little brothers are big ones, drunken heroes are derelicts, disreputable women are sweethearts, biddies are grandmothers, lunatics are mystics. These are landscapes of neglect, abandoned, obscure, peripheral. The vantage point is from the outside always, through a fence, across a road, over a barrier. In prose, rooted by Canadian toponymy, we encounter a collection of outcasts who might inhabit these spaces. The scope is ambitious, with photographs taken over the past thirteen years in almost every province and territory. The humanist sensibility through which the geography is displayed encompasses as apparently diverse landscapes as Toronto and Vancouver and Halifax, or as rural Quebec, Saskatchewan railstops and Newfoundland outports, while revealing profound commonalities. From hitchhiking to homelessness to hockey, from lonely rooms to rowdy taverns to empty stations, from abandoned buses to subway trains to bush planes, Byroads imaginatively evokes how Canadian culture is experienced at the margins. Maxim Panitch was born in Ottawa in 1975, moved to Toronto in 1984, attended Jarvis Collegiate, City School and Harbord Collegiate. Until he got a camera, Maxim kicked around, travelled a lot, always over-land, getting lost — sometimes on purpose, wrote poetry and started serious photography at 24. Two photography exhibits in Toronto in 2000 and 2002. Bachelor of Urban and Regional Planning, Ryerson University 2006; Master of Spatial Analysis, Ryerson University 2007. Master’s thesis on the geography of homelessness. Competitor in 90 Scrabble tournaments, including four Canadian Championships, two World Championships, and team member in three Can-Am tournaments; currently ranked in top seven in Canada. When he studied cartography he considered how to produce an expressive atlas of Canada. The Byroads project had its initial viewing at Sidespace Gallery in May of 2010. 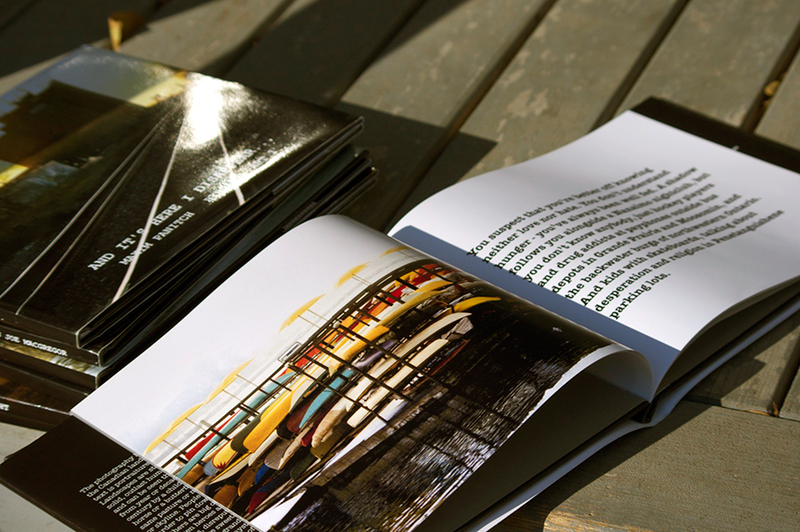 The seven volume set was first launched at “Who Art Thou?” show and exhibition at Beit Zeitoun Gallery, Toronto, November 29 – December 2, 2012.